Are you Saying NO to the Culture of Now? And should you? 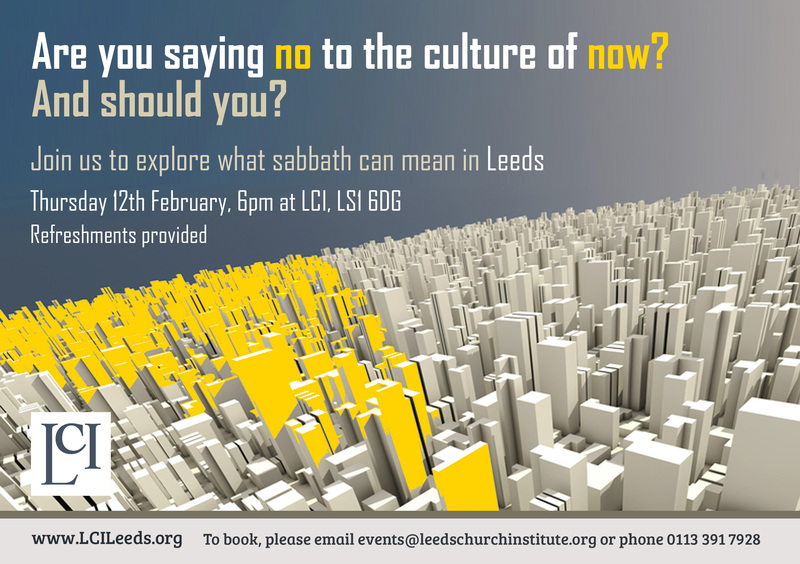 Join us to explore what Sabbath can mean in Leeds. Thursday 12th February, 6pm at LCI. Refreshments provided. To book, please email events@leedschurchinstitute.org or phone 0113 391 7928.